THE #1 Overall Seller here on SEOClerks...PERIOD. If you have a User Account Here, or at SEOClerks, then you ALREADY have an Affiliate ID for SEOClerks, ListingDock, and CodeClerks!! Increase your Affiliate Sales with this script and make Passive Income for LIFE, guaranteed! I have Won every Affiliate Contest that I Participated in!! You get 10% Commission from EVERY purchase your Referral's make for LIFE! 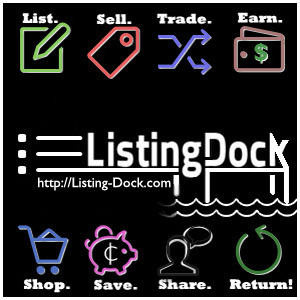 Promote your Store and once Visitors through to ListingDock from your Store, you'll get Passive Income for EVERY Future purchase they make FOR LIFE!! This will count for SEOClerks & CodeClerks too!! I Highly Recommend Namecheap. 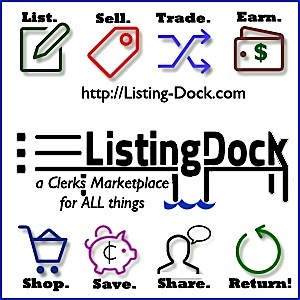 They are THE #1 Choice for the Clerks Network. -SEOClerks uses them as their reseller for enom. -And even today, The SEOClerks Blog; CommunityClerks uses NameCheap. Q: Do I use my own Domain Name? Q: Can I use my affiliate id? Q: Is there an admin panel/dashboard? Q: How do I install this script? Q: Can I use this script on multiple domains? A: No. It's only 1 Domain per Order. (+3 Qty. for Unlimited Domains/Subdomains). Q: Does this script work in all major browsers? LICENSE: 1 order = 1 domain, for multiple domains and/or sub-domains order the extra (+3 Qty. will allow you to use on unlimited sub-domains/domains). RESELLER RIGHTS: You can only sell this script if you Pay extra for Reseller Rights: (+6 Qty.) If you choose to Buy Resell Rights, you agree to these TERMS: You can only Sell Script on your own website(s), not SEOClerks, ListingDock or CodeClerks marketplaces, or any other SEOClerks [micro job] alternatives. You can not edit the coding, and claim source as your own creation. You may modify it's design, and it's functions, but the core of the script has to remain the same or else it will NOT FUNCTION [this is also to ensure future add-ons/plugins are compatible]. 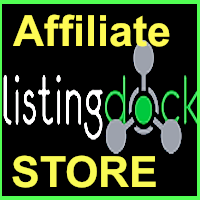 ListingDock Affiliate Store Script is ranked 5 out of 5. Based on 27 user reviews.